Apple has finally released the latest iPhone, called the iPhone 7 and 7 Plus. While these devices are highly impressive, the software they came with has also managed to impress all Apple users with a compatible device. 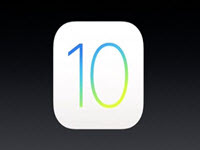 iOS 10 was launched on the new iPhone , which includes a range of new features and options. Finding all these features yourself is always fun after the update, but with iOS 10 there are so many new things that a little help might just ensure you get the full experience. Once the update has taken place, the first thing you’ll notice is that the software is much faster and smoother, which already has an impressive effect for all. Here are some of the most impressive options available on the new iPhone iOS 10. Apple has managed to create devices that not only attract new users but also keeps the current users more than pleased with what they have delivered. However, there are a few small tweaks that annoy some used that includes not having the ability to remove apps that came with the phone, but ends up being something you’ll never use. Finally, Apple has enabled the option that lets you choose what base apps remain on the device. Should you prefer not to have the Find Friends app, iBooks, and other, simply tap and hold and delete them. Even apps such as calendar can be removed, making it convenient to use the calendar apps you prefer the most. An impressive feature has been added that allows you to see what’s on your screen without pressing any buttons on the phone or having to unlock it. Simply pick up the device and tilt it towards you, which will result in the screen coming on and showing you any notifications. The feature is only available on newer iPhone devices such as the iPhone 6s and 7. Users can also access all types of other information by swiping to the right on the lock screen, which presents the notification bar where whether, the markets, reminders, calendar, and much more can be seen. Apple has also changed the theme of these menus, which has made it a lot easier to see the different sections and options. Replying to a message has never been easier. Should you receive a message while your device is locked, you have the ability to swipe up and reply directly from the lock screen. This means there is no need to unlock the device or enter any apps to reply. With iOS 9 we were already impressed with the swipe up and press the camera button feature. However, iOS 10 has made it even more impressive by simply sliding to the left to access the camera. This gives you super-fast access to the camera where you can record video or quick snap pictures. The feature will be available devices locked with a password or Touch ID, but only the camera will be available, meaning no photos or any other files will be available until the phone has been unlocked. I’m sure many of you have wanted Siri to access a certain option within an app while using Siri but found Siri only works with features offered by the iPhone. Well, Apple has opened Siri to developers, which allows them to program options for Siri to access. It might take some time for 3rd party apps to provide this feature, but soon you will be able to ask Siri to open Whatsapp, read a message and reply, just to give you an idea of what’s to come. Another addition to the new iOS is the clock that has been around for many years. Apple has now found a way to provide the latest features with the Bedtime feature that reminds you when you need to think about going to bed to achieve your goals. Set up the app and tell it how many hours of sleep you desire, what time you need to wake up, and which days you need to wake up at that time. The app will buzz when it time to consider going to bed, which could help in achieving your desired bed time and getting enough sleep.